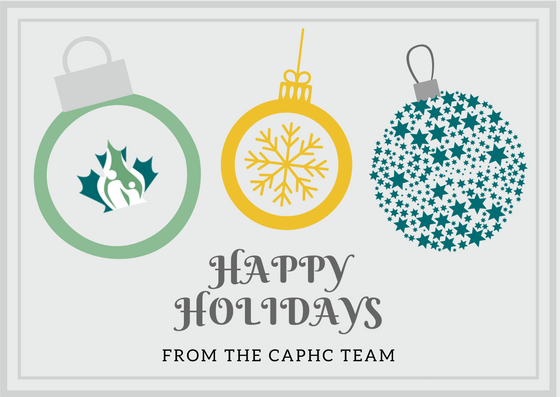 Sending you warm wishes from the CAPHC Office. We hope your holidays are filled with good company and lasting memories. Here's to another great year, we look forward to continuing our work together in 2018! CAPHC vous souhaite une saison chaleureuse et un joyeux temps des fêtes!